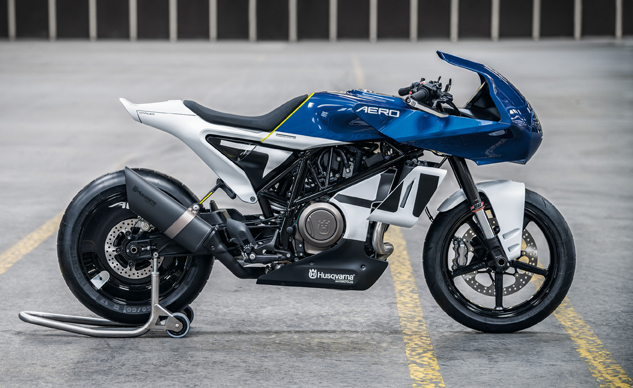 At EICMA 2016, Husqvarna showcased a concept Vitpilen 401 Aero ahead of the release of the 401 production models in 2018. 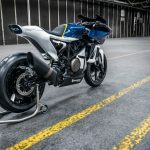 We now see the Husqvarna Vitpilen 701 Aero Concept being shown at EICMA 2018. 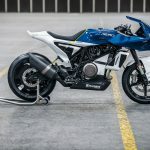 Aside from the updated display and a few other styling details, the faired version of the Vitpilen looks like it could be easily offered in the way of bolt-on parts to the standard Vitpilen 701. Of course, that is just speculation and the fact that we haven’t seen this come to fruition after the 401 Aero means it may just be wishful thinking. 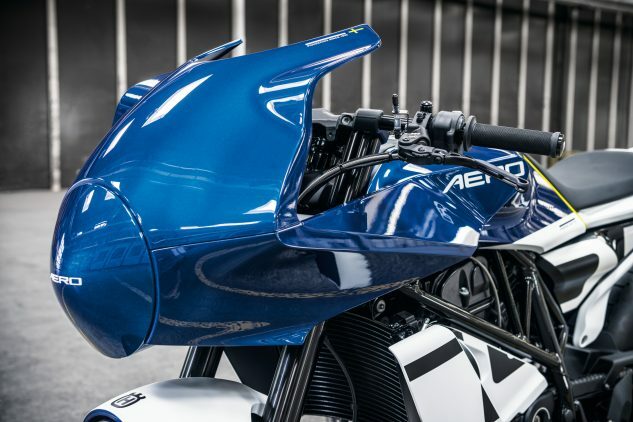 With the sporting character of the bike’s rider triangle, lightweight nimble chassis, and torquey engine, throwing a fairing on the Vitpilen 701 doesn’t seem like a bad idea, and in this trim, it certainly looks great. As always, only time will tell. 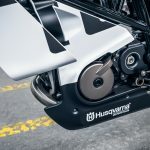 For our full review of the 2018 Husqvarna Vitpilen 701, click here. The Real Street line-up represents yet another pioneering step in Husqvarna Motorcycles’ future street motorcycling vision. Sophisticated single cylinder motors housed within minimalistic layouts – created to provide a raw and authentic riding experience. 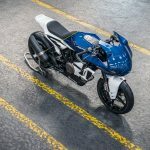 Real street bikes that capture the timeless thrill of the ride, with a level of simplicity that seems to have been lost amongst the flash, hype and hyperbole of modern motorcycle design. These bikes are compact and agile – expertly crafted to deliver minimalist styling with exceptional performance and reduced to the bare essence of what a motorcycle should be. This simple yet progressive approach is the inspiration for the range – it is a paradox that defines them. 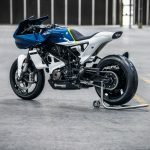 The VITPILEN 701 AERO concept is a modern faired sport bike with an innovative design approach that pays respect to the past in a uniquely progressive way. 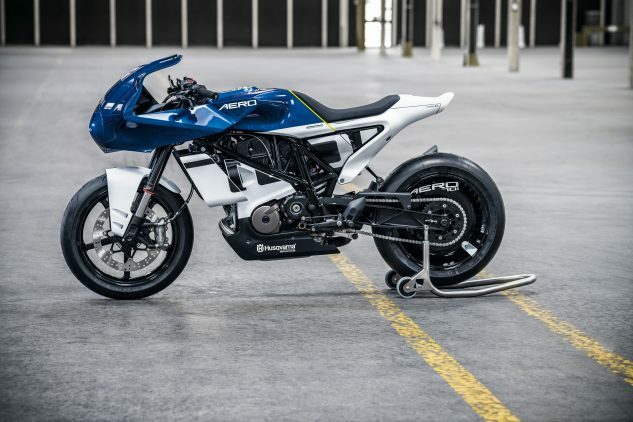 Its sporty look hints at the potential for a more performance-oriented future for the Husqvarna Motorcycles street range. 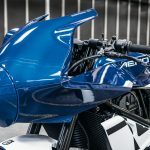 By taking a closer look at the fairing, you can see how the design elements of every aspect of this bike have been thoroughly thought out and well executed, even the unseen details of the fairing have an air of elegance to them. Although the fairing structure is purely technical, all the parts speak the same design language, including the unique, round TFT display. 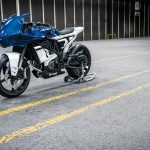 The paint job for this bike is something special, but underneath the coat of blue and white is a powerful single-cylinder motor with modern electronics. 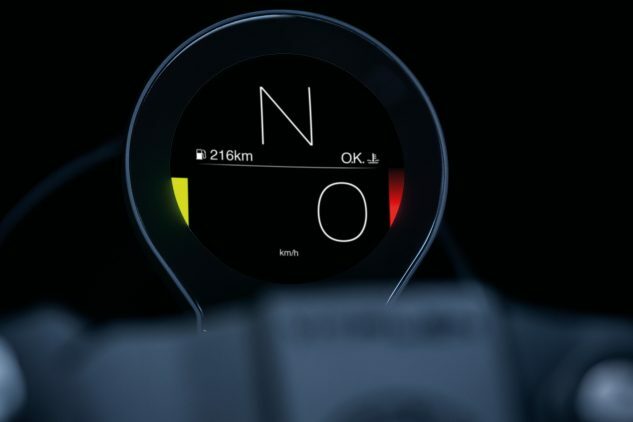 The windshield completely changes the position of the cockpit, encouraging a lower, more locked-in position, for a fully immersive riding experience. Unique to the VITPILEN 701 AERO is a component that highlights the ongoing evolution of the design synergy between simple form and progressive function. 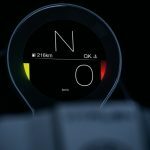 Mounted at the heart of the cockpit, is an immaculately constructed round, full colour TFT display, shaped to perfectly match the design language of the motorcycle. Its simple form and typically reduced Husqvarna Motorcycles style should not be mistaken for basic function, as this display version highlights the option to change several interface elements. 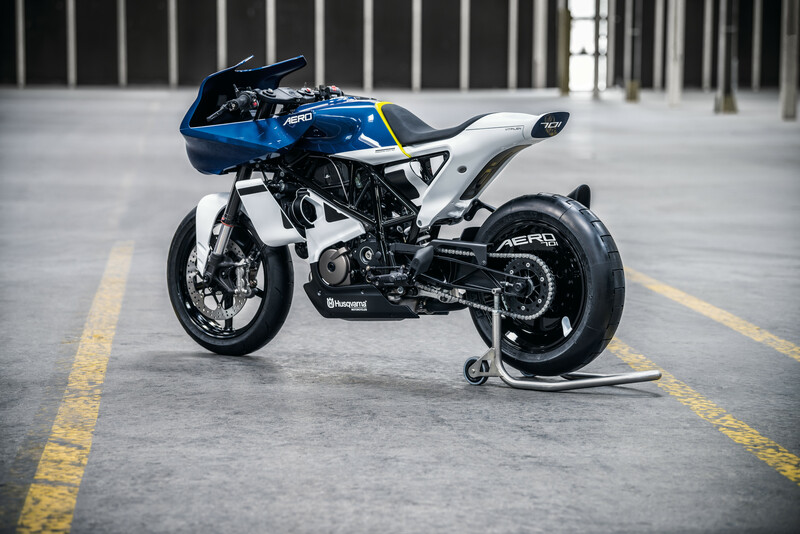 The VITPILEN 701 AERO concept was the perfect platform to showcase this new component and to further emphasise Husqvarna Motorcycles’ intention to continue to pioneer new territory.